Striking a balance between high levels of safety and on-site productivity is very important to us on all projects that we work on. Our scaffolding supervisors are experts with years of experience and knowledge of industry standards and best practice. By providing the following services, we aim to enhance scaffolding activity and help you achieve desired results. We advise operatives on how to use the PERI UP Scaffolding system in the most efficient and effective way, at all stages of the design sequence. We explain plans and components in detail, and ensure office personnel are fully-trained and understand how to use the system. Through briefings and presentations, we show operatives how to assemble, operate and dismantle the PERI UP scaffolding system quickly and safely, in accordance with the latest Assembly Instructions and Safety Guidelines. We also provide troubleshooting steps for additional guidance. We demonstrate how to maintain, clean and store PERI UP scaffolding systems to ensure optimum performance when in use. 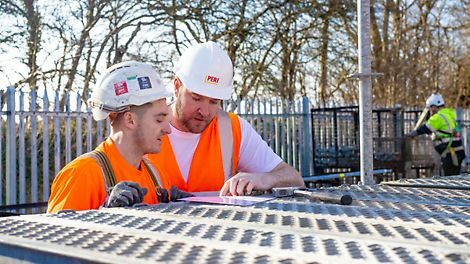 We offer accredited classroom theory and practical training on how to use PERI UP scaffolding systems at our premises throughout the UK or at your jobsite. We can provide continuous on-site support by overseeing scaffolding activity and maintaining a close relationship with you throughout the duration of the project. This course is for people who are new to scaffolding. Existing CISRS Scaffolding Labourer (green) Card holders also need to take this course to renew their card every five years. The course teaches the basics of the industry and how to work safely with scaffolding and access equipment. It includes a minimum of six hours’ tuition, and practical exercises and exams. Delegates wishing to book one of these courses will be required to have a CITB HS&E Test (or accepted exemption) in place at the time of booking. The CITB HS&E Test (or accepted exemption) needs to have been passed within the previous 23 months before the course start date. 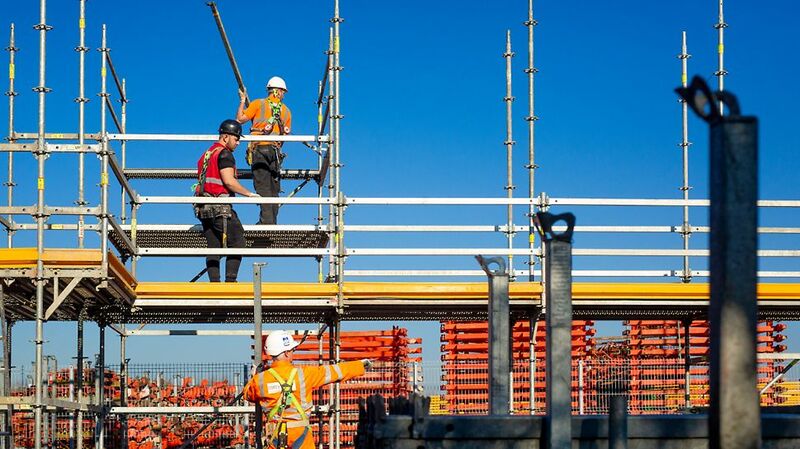 theoretical knowledge to erect and dismantle chosen scaffold systems safely, according to current legislation and to the manufacturer’s instructions. A CISRS Card (either a Scaffolder or Trainee Scaffolder) and have completed a Scaffolding Part 1 course. You will need to be able to climb up and down ladders safely. You must be capable of handling decks and steel scaffold tubes. This 5-day course is for non-scaffolders, who erect, alter and dismantle basic system scaffold structures within restricted environments. You will learn on PERI UP Flex system scaffold erected to a maximum height of 6 m.
On successful completion of the course, we will apply on your behalf for the CISRS Basic Access System Erector (BASE) Card. This CISRS-accredited course will develop your understanding of scaffolding components, forms of construction and the inspection procedures for basic access scaffolds and how to comply with current legislation and Codes of Practice. CISRS expect delegates to have awareness and experience of scaffolding structures, which would have come from time spent in their individual industry sector (construction, engineering, manufacturing, offshore etc.). This experience would need to be confirmed by your CV or a similar document and should include contactable references and/or certificates. To give the attendees the knowledge required to enable them to understand how to inspect PERI UP and design PERI UP scaffold structures in accordance with the Work at Height Regulations 2005 and the PERI UP instructions for assembly and use. This course is intended for personnel responsible for inspecting PERI UP scaffolds as described in the PERI UP instructions for assembly and use and who are required to complete reports in accordance with the Work at Height Regulations 2005. CISRS BSI (Basic Scaffold Inspection) or ASI (Advanced Scaffold Inspection) Card. CISRS Scaffolders & Advanced Scaffolders who have their CISRS cards endorsed with the inspection module of CPD. Note: Existing cards will be endorsed, BSI cardholder will only be able to inspect Basic Structures. If a BSI cardholder then progresses to ASI status, their new card will be endorsed with this training; they will not need to attend a further course. There are currently 12 modules available, covering all of the PERI UP Flex system's applications. For more information about these modules and to discuss the system in more detail, please contact us. The aim of this course is to raise awareness about the risks of manual handling, so that you have a greater understanding of your responsibilities and how to carry out your job role safely. Give examples of common working at height tasks and understand the associated risks. Identify the factors that contribute to persons and objects falling from height. Describe the control measures that reduce the risk of falls from height. Understand the proper use of access equipment and safe methods of access to reduce or eliminate the risk of falls. If you are interested in our courses, or if you have any questions about our services, please feel free to contact us. More information about the PERI UP Flex system, including an introduction video and links to various applications, can be found here.